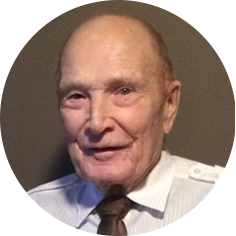 William “Bill” Quest, aged 86 years of Moose Jaw, SK passed away peacefully at Pioneer Lodge on Friday, December 7th, 2018. Bill was born on February 17th, 1932 to Eunice and Roy Quest in Lawson, SK. There on August 20th, 1956 began the 59 year marriage to Marjory (née Gooding) and then a family of three children. In Central Butte, he excelled at farm equipment sales at John Deer and managing Co-op Implements. Bill retired to his true passion, which was always his family and friends. He was predeceased by his brother, Leonard; son-in-law, Daniel Williams; loving wife, Marjory; and his friend of 80 years, Ken ‘Skip’ McConnell. Bill is survived by his sister, Joy (Ron) Kurz; children: Dale (Deb) Quest, Sheila (David) Maydanich, and Janice Williams (Tim Meitz); grandchildren: Graeme (Karolina) Quest, Krista (Derrick) Murias, Braden Quest (Dawn), Brettany (Andrew) Breschetti, Sheldon (Jenna) Williams, and Chelsey Maydanich; great-grandchildren: Cohen, Izabela, Hallie, Mya, Jordan, Brady, and Daniel; grand-puppy, Lexxie, with whom he had a special bond; and devoted friends, Gord Cowan and family. Bill’s family extends our sincere thanks and appreciation for the exceptional caring support the nurses and home care provided over the last couple of years of his life. They were all dear to him and our family. In keeping with Bill’s wishes, a Private Family Service will be held. As an expression of sympathy, donations in Bill’s name may be made to The Moose Jaw Humane Society, Box 1658 Station Main, Moose Jaw, SK S6H 7K7 or to a charity of one’s choice. In the spirit that Bill would quietly dedicate a sip of dark rum to memories of those who passed before him, feel free to do the same in his honour! Arrangements are entrusted to Moose Jaw Funeral Home, 268 Mulberry Lane. Gary McDowell, Funeral Director 306-693-4550. So sorry to har about Bill. He was such a kind guy! I remember him helping our Mom out when she lived in Central Butte. To the Quest family. My sincere condolence to you all at this time. I only met Bill a couple of times but remember him as a robust man who was quick to smile. Take solace that he and Marj will be with you in spirit as the family continues to grow and celebrate it’s many milestones. So very sorry to hear of your Dad’s passing. May he rest in peace. Sorry for your loss..My thoughts and prayers are with you all. I have so many good memories of him and the family. To the Quest families…we are so sorry for your loss & our hearts go out to you…also,Joy & Ron…another ‘ol Butte friend gone,Love,Myrna & Lyn. My deepest sympathy to Bill’s family. When we lived on the farm at Lawson Bill was often our School Bus driver when we 3 sisters went to school in Lawson. For having red hair he put up with a lot of “guff” from us all. Remember all your good times with him. Sending my love and condolences to all. I hadn’t seen Bill for awhile but always enjoyed a visit with him – especially his sense of humor! Wishing you all peace knowing now he rests easy with Marj. Condolences to the Quest Family. I also grew up with a great admiration in the years that Bill drove School bus for the Lawson crowd! Mom’s comment to anyone was, “You could always set your watch to Bill’s schedule!” Very remarkable Individual. The story’s and memories were all very cherished, even to remembrance of attending Dale’s birthday party in the “new” house they moved to in Central Butte. Deepest sympathies to the Quest family Bill was a great fellow he will be missed. Karen and Leonhart Christmann and family. I knew Bill only at Mulberry where my dad lives but dad is very saddened by the loss of him. In fact many at Mulberry have been remembering and missing this kind gentleman who was so very liked by all of them. Deepest sympathy. So sorry to hear of your loss of Bill. I always remember him driving school bus when I was a kid. My deepest condolences. God bless.